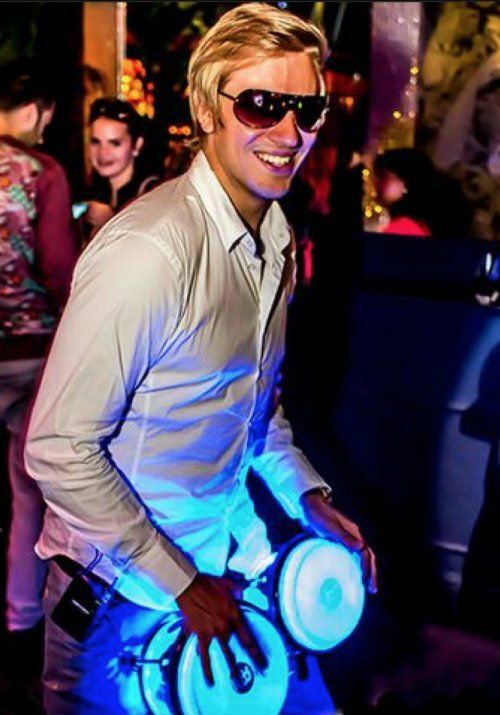 Afishal was the pioneer of the world’s first wireless LED bongos, creating these whilst performing in the super clubs and boat parties of Ibiza. 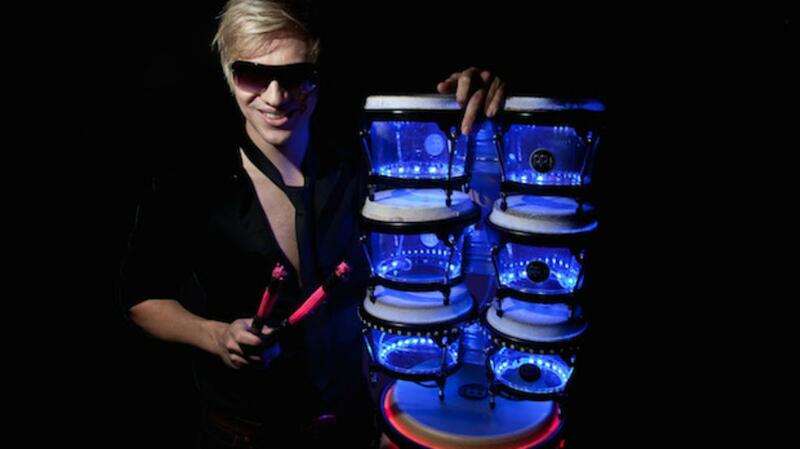 The unique aspect of these bongos is that they are able to be taken off the stage and into the crowd. 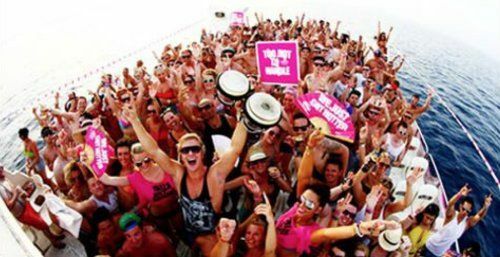 Afishal can be seen and heard from everywhere in a venue. 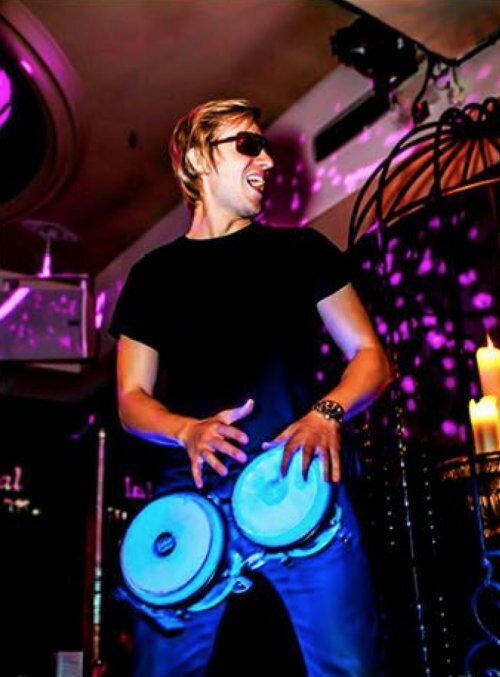 He can entertain the VIP booths, perform on the dance floor, the bar, anywhere and everywhere! Perfect for the more intimate venues. Attached around the waist, using a wireless microphone and battery pack they are completely mobile and FiSH is free to perform literally anywhere with them. Fitted with customised colour changing LED’s which can be set to match any colour scheme, or brand’s identity. 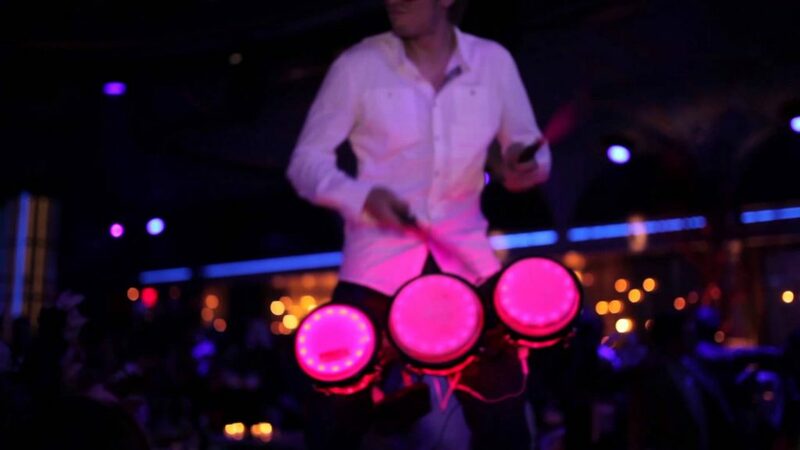 The wireless LED bongos will light up any venue.